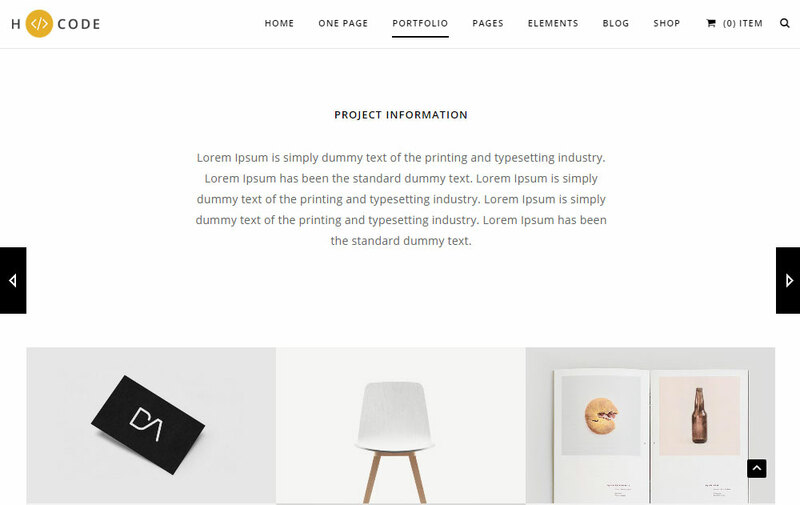 In this H-Code WordPress theme review, we’ll be looking at this newly released theme that aims to help you create any type of website with WordPress. We’ll start with a run-down of the best features of H-Code, before moving on to the user experience to see how easy it is to create a modern and stylish website with this theme. By the end of this H-Code WordPress theme review, you’ll know whether this is the right tool to help you create your new website or not. As we’ll soon see in this H-Code WordPress theme review, one of the key features of this template is that is includes a vast array of pre-built demos. These demo websites can be imported into your WordPress site in just a few clicks. 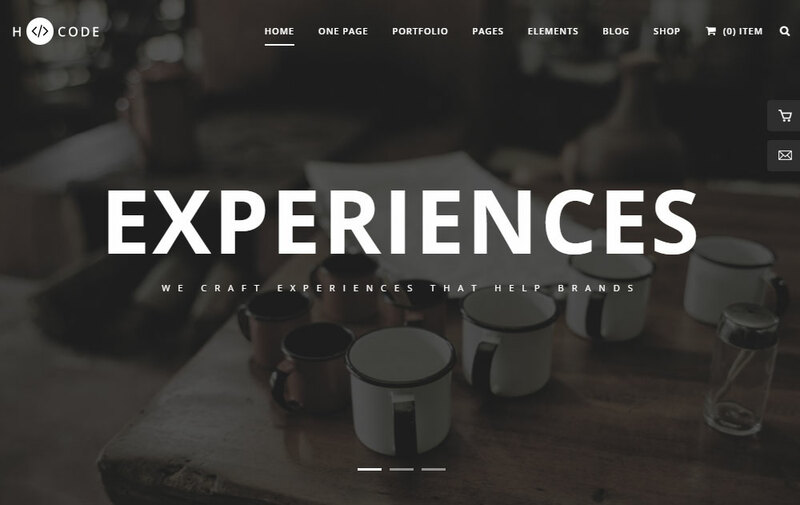 These demos cover a wide range of project types, helping to make this a truly multipurpose theme that can be used to build almost any type of website. If one of the demos matches up with your project, then you will find it very quick and easy to create your website with H-Code. If there isn’t a pre-built demo that closely matches your vision and project specification, that doesn’t mean this theme isn’t for you. Thanks to the ability to mix and match the library of pre-built page templates and layouts, not to mention the wealth of customization features, it means that while it might take you a bit longer, you should still be able to get your website online without too much trouble. 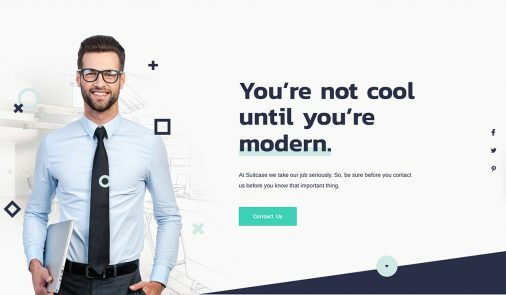 In short, if you are looking for a flexible theme that can be used to create almost any type of website, with plenty of customization options to help you make it stand out from the crowd, you should definitely consider H-Code and read the rest of this review to find out more about this multipurpose WordPress theme. As mentioned, H-Code is a feature packed WordPress theme that aims to help you build any type of website. So, let’s take a look at those features in more detail to help you decide if they offer what you need for your project. Perhaps the most important aspect of any WordPress theme is its design and appearance – at least when it comes to making an initial decision on which theme to choose. 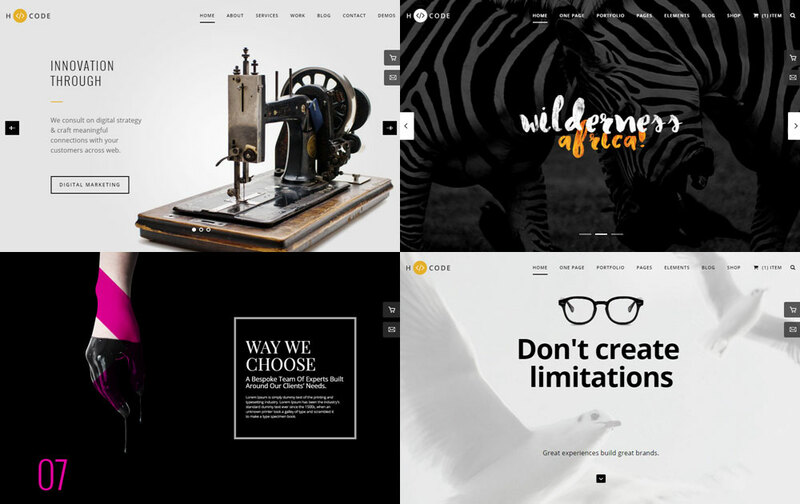 While the attractiveness of a website is mostly subjective, there are some designs that nearly everyone can agree look great. With that in mind, it’s fair to say that H-Code has a visual style that will appeal to a wide audience. 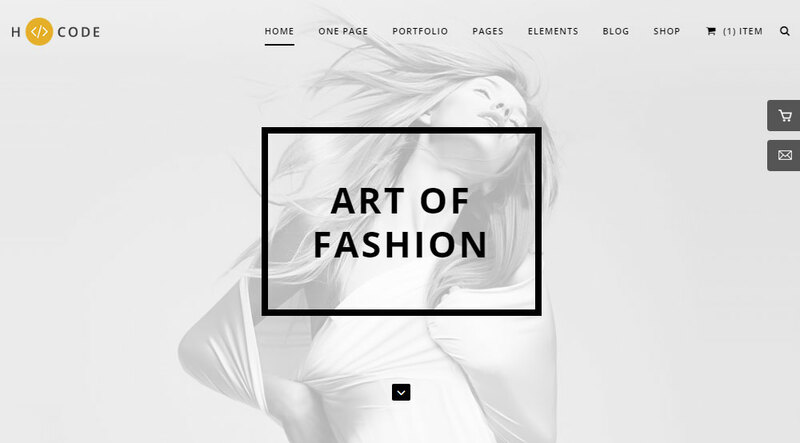 Throughout the multiple demos and pre-built page layouts of this WordPress theme, you’ll find a stylish and modern appearance that will be suitable for anyone attempting to create a professional looking website. To help ensure your website will work on any modern device, H-Code is fully responsive. This means your website will look just as good on a smartphone as it does on a large high-end retina-ready desktop monitor. This is possible thanks to the fact that H-Code has been developed using HTML5 and the popular Bootstrap framework. However, as we’ll soon see, H-Code has something for everyone, including many customization options to help make it a truly flexible WordPress theme. When creating a website with H-Code, you’ll have an impressive number of pre-built demos to choose from. 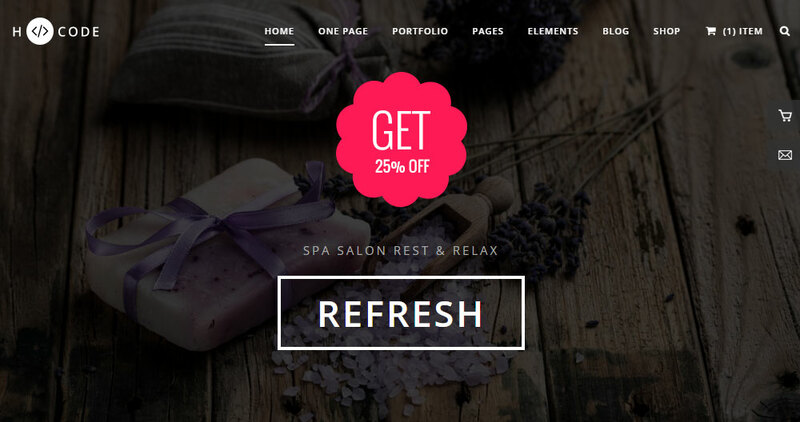 These demos span a range of categories including one-page websites, multi-page sites, blogs, portfolios, online shops, coming soon and maintenance pages, plus much more. For each type of demo, such as an online shop or agency website, you’ll find multiple variations to suit a range of different projects. As well as the full website demos, H-Code provides you with a number of pre-built page layouts for use on your website. These pre-built templates include an about page for displaying information regarding your website, company, or business. The team members pre-built page template provides an easy way introduce your team and display their individual profiles. There are also services, testimonials, clients, and FAQ page templates to make use of when setting up your website. When it comes to displaying your blog posts, you’re again spoilt for choice. 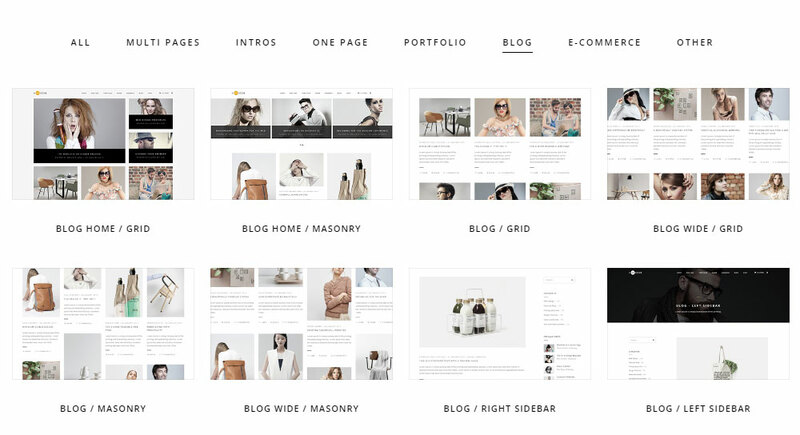 With the H-Code theme, there are multiple grid and masonry layouts to choose from. 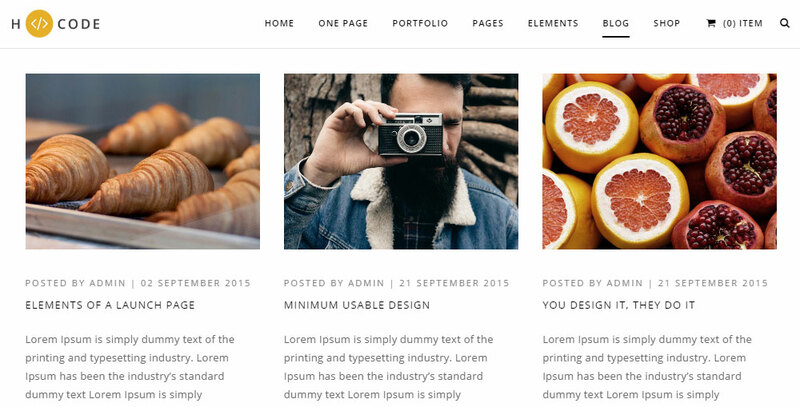 You’ll also find a whole range of individual blog post templates with different sidebar and content configurations, including some with slideshow headers. 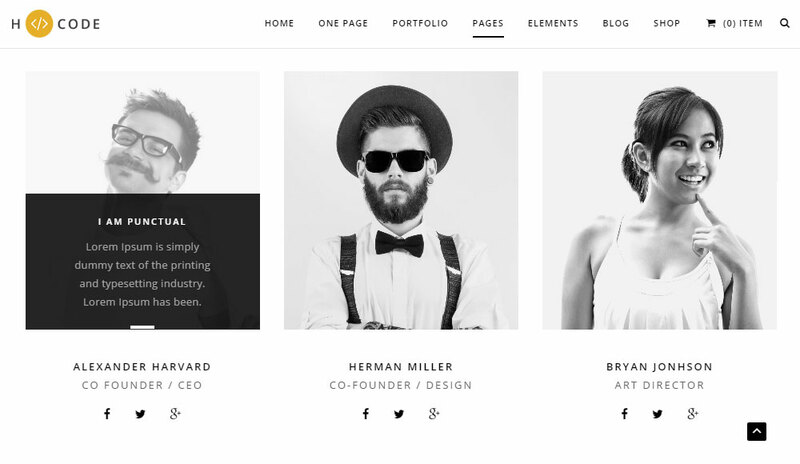 If you’re planning to create an online portfolio with WordPress, H-Code has some useful website demos to choose from. 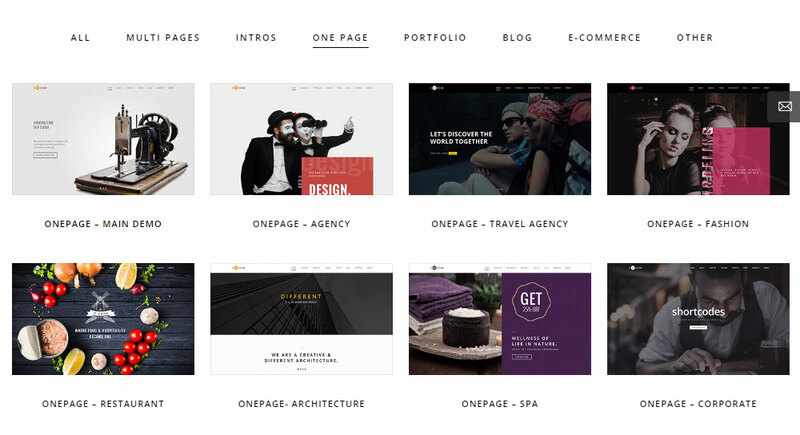 You can also use the selection of portfolio page templates to add this type of content to your website, no matter which of the main demos you are using. 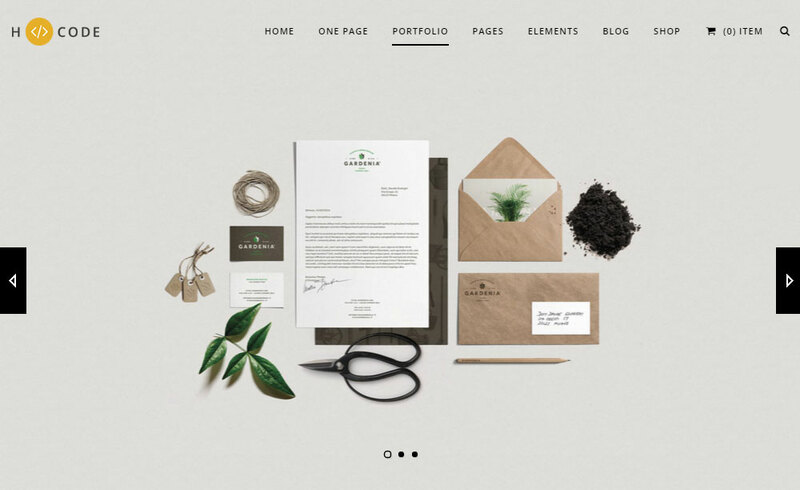 Although it depends on which portfolio template you choose, this important part of your website won’t simply contain a few images from your project and some text. The H-Code portfolio layouts include a slideshow for displaying a collection of relevant images, feedback from clients, and other related information to help explain the process behind the project. 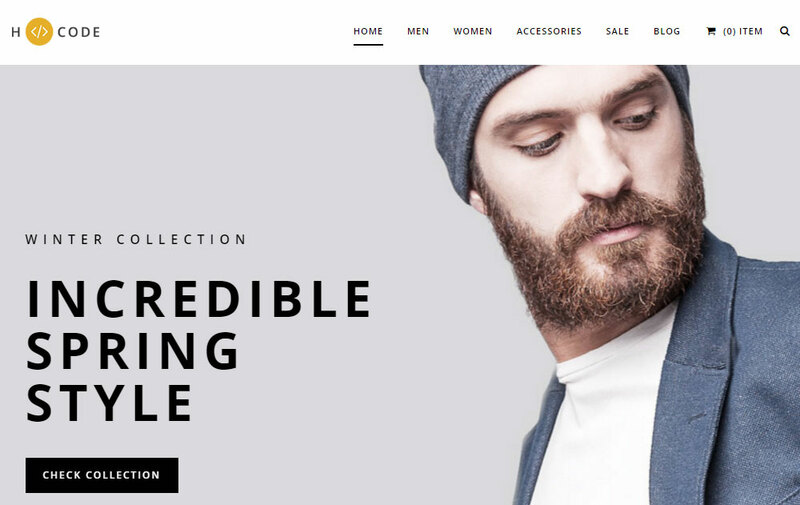 For those of you who are planning to start an online shop, H-Code has the full set of page templates for every part of your ecommerce store. 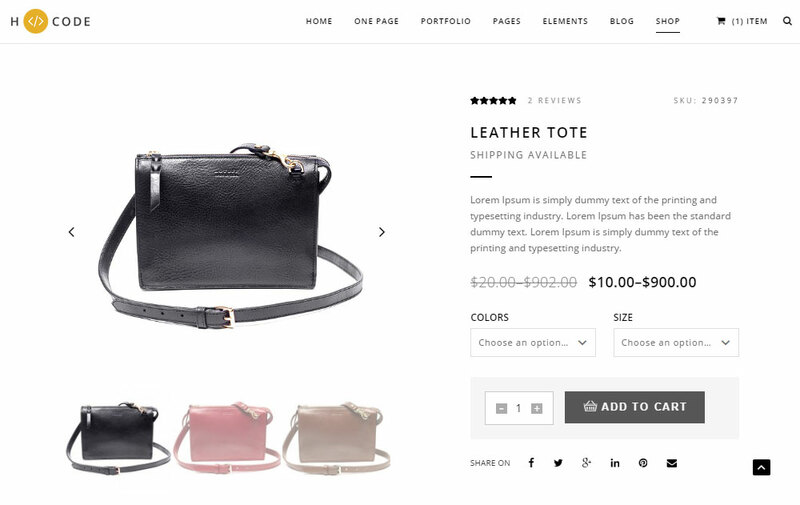 These ecommerce templates cover all the essential online shop pages, including the homepage of your store, the product listings page, and the individual product pages. You’ll also find templates for the shopping cart and checkout pages, helping to create a consistent user experience throughout your online store. 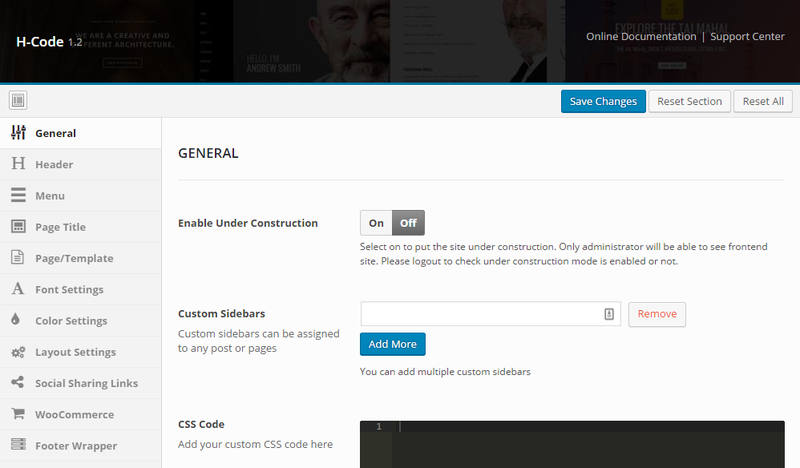 You can make a wide range of changes to your website through the detailed H-Code theme options control panel. These settings are broken down into a range of categories, giving you a good amount of control over how your site looks and functions. 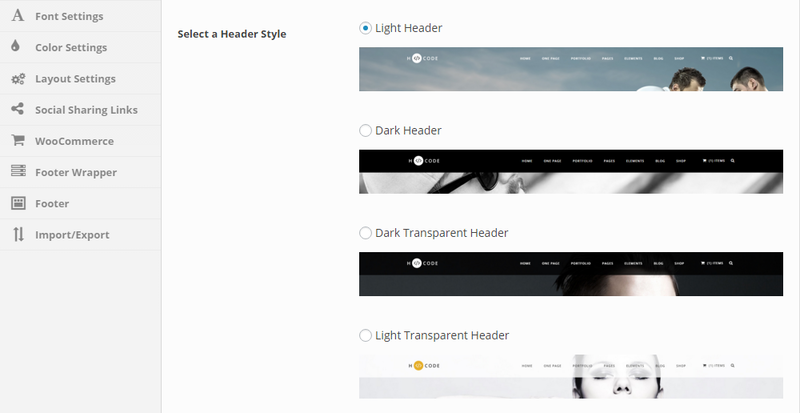 Through the theme options, you can choose which of the pre-built header styles you’d like to use on your site. 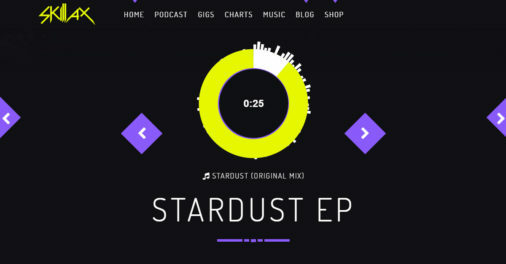 You can also customize their appearance by uploading your own header logos and background images. 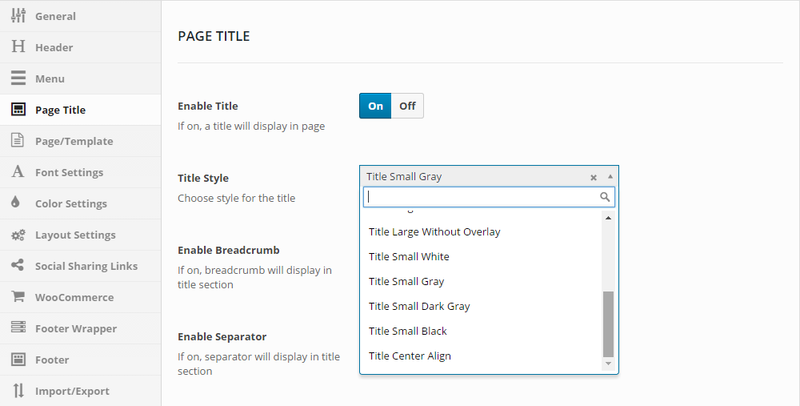 The H-Code theme settings also give you a great selection of page title styles to choose from. By changing this setting, you can really give your content an upgraded look. Through the Fonts section of the options panel, you can change the appearance of the text on your website – and with over 600 Google Fonts to choose from, you’ll be spoilt for choice. You can also customize the text size for the individual styles in use on your site, such as paragraphs and headings. The color settings are equally impressive. With detailed controls for the background colors, header colors, and text colors, you can apply really unique color palettes to your website, in just a few clicks. Other elements of your website that you can customize through the theme options control panel include the layout settings, with detailed settings for each post type and section of your site; social sharing link settings for regular content and the ecommerce store products; and detailed settings for customizing the footer area of your website. 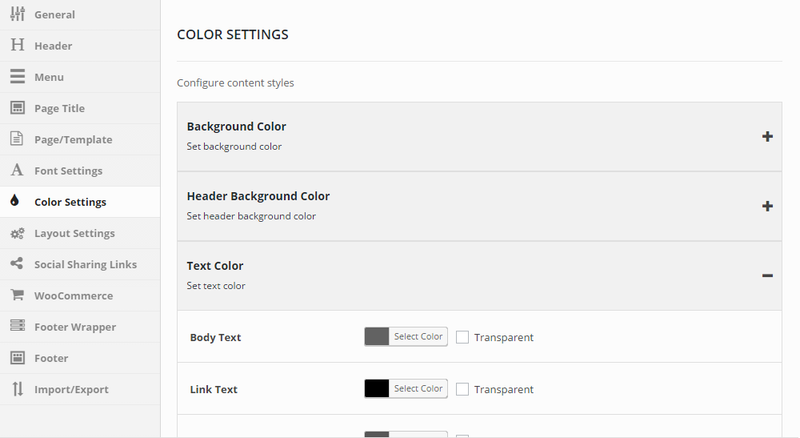 You can also import the demo content through the appropriate section of the theme options control panel. With H-Code installed on your WordPress website, you can change some of the settings at the individual page level too. These page settings cover the layout, the header style, which menu you want to display, the scrolling effect for the page, and what content you’d like to display in the footer areas. 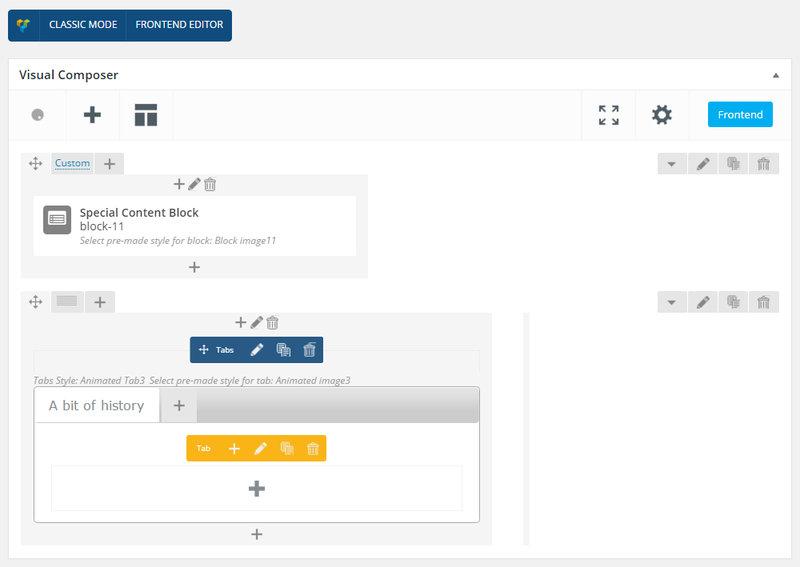 This is a useful feature as it allows you to customize the content surrounding your posts and pages for greater levels of interaction and improved goal conversion rates. With H-Code, there’s limited support for the WordPress Customizer. However, thanks to the detailed theme options settings and the drag-and-drop page builder tool, you won’t have any problems customizing your website. To help you create your own custom page layouts and edit the pre-built demos and templates, the H-Code theme includes the premium Visual Composer drag-and-drop page builder plugin. Visual Composer gives you the option of working in either it’s front-end or back-end user interfaces, as you add rows and columns to your pages to build custom layouts. Your custom layouts can then be populated with the many elements that come with Visual Composer, including a selection of custom elements created especially for the H-Code theme. 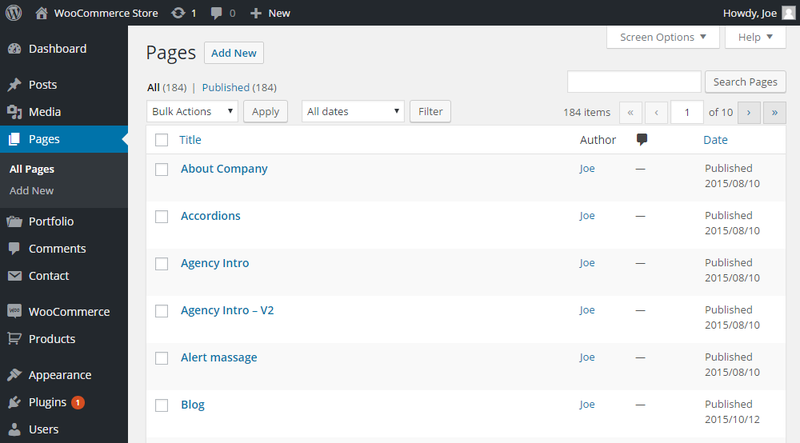 The H-Code WordPress theme features an impressive library of shortcodes. These shortcodes can be used to insert a range of useful elements into your content via the Visual Composer page builder tool. Examples of the types of elements you can add to your posts and pages include tabs, image sliders, counters, feature boxes, accordions, and much more. Having access to a library of page elements makes it easy to upgrade your content, in just a few clicks. To help you create the best website possible and make the most of this theme, there’s some very helpful online documentation available for H-Code. The online documentation covers everything from installing the theme on your WordPress website, through to using its advanced features. Those who have purchased H-Code have been very happy with the theme, awarding it an impressive 5 average rating out of 5. As well as the theme itself, this rating applies to the user support on offer, which is described as being “helpful and responsive”. H-Code has been built to be compatible with all of the best WordPress plugins. This includes popular extensions like WPML, W3 Total Cache, Contact form 7, Yoast SEO, and All in One SEO. This means that if you want to create a multi-lingual website, ensure your content is optimized for the search engines, and loads as quickly as possible, then the support for these plugins will come in more than handy. Furthermore, even if you don’t decide to use these plugins, you can rest assured that H-Code has been optimized not only for speed, but also higher visibility in search engines like Google. The multipurpose H-Code WordPress theme has been created by ThemeZaa, a development team that builds solutions for a wide range of platforms. 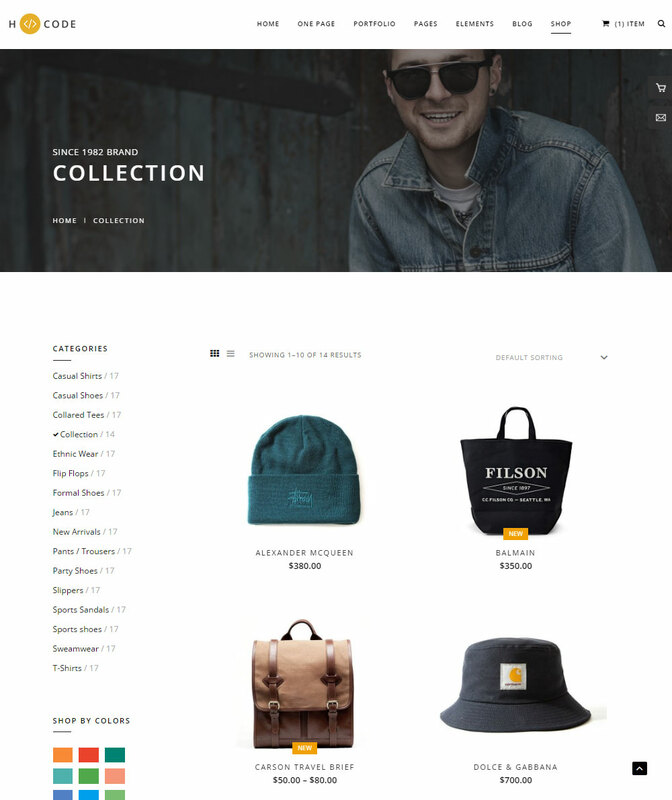 As well as the newly released H-Code, ThemeZaa has produced a number of popular commercial products for WordPress and Magento that are available from the ThemeForest and CodeCanyon marketplaces. 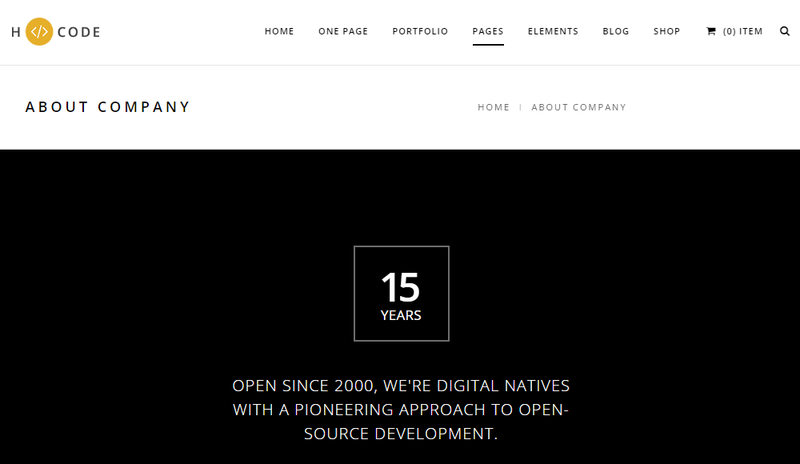 The team also runs the digital marketing agency LinkSture, where they offer their design and development services. With many years’ of experience at creating commercial mass-market products, as well as working with clients on individual projects, it’s safe to say that the ThemeZaa team know what they are doing when it comes to launching and, most importantly, supporting successful products. In this part of our H-Code WordPress theme review, we’re going to be exploring how easy H-Code is to use to build a WordPress website with. After uploading and activating the H-Code theme, you are prompted to install and activate the required and recommended WordPress plugins. This includes premium plugins like Visual Composer and Slider Revolution, as well as free tools like Contact Form 7 and WooCommerce. Thanks to the plugin installer tool, taking care of these tasks only takes a few clicks. The next step is to decide whether to import a demo or not and if so, which one. 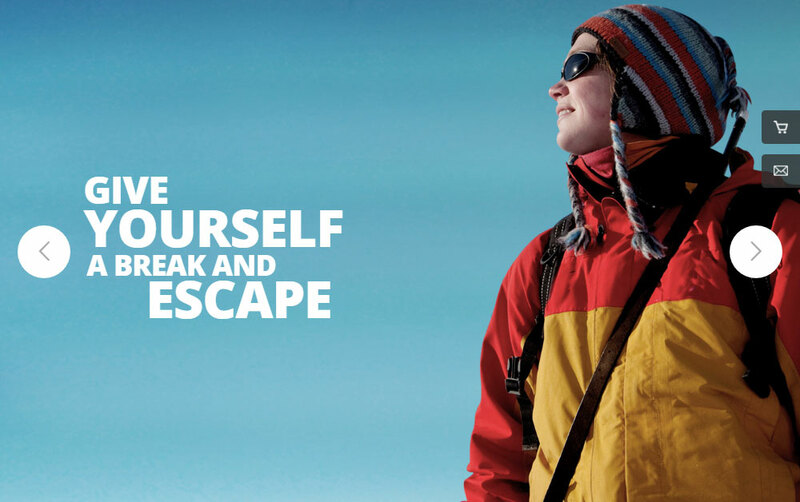 With so many to choose from, it can be hard to select just one. However, the type of website you are creating will largely dictate which demo version you choose. Importing the demo content only takes a few clicks, including importing the relevant data for the corresponding slideshow for your chosen pre-built layout. Once you’ve imported the demo content, you can then start setting up your website to work in the way that you want. 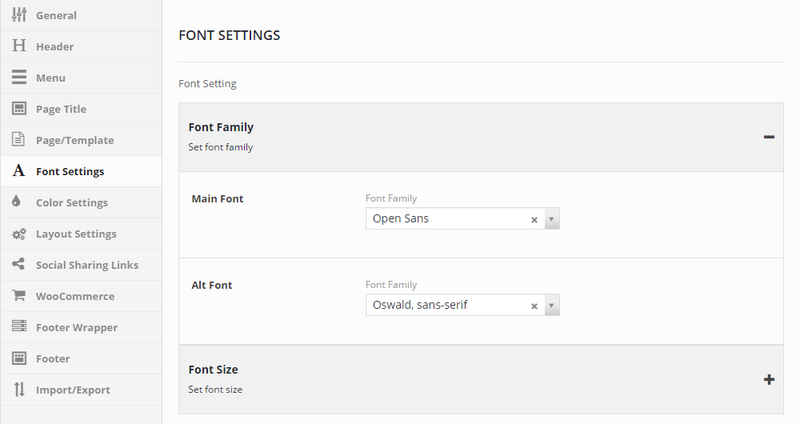 Most of these settings can be found in the theme options control panel. 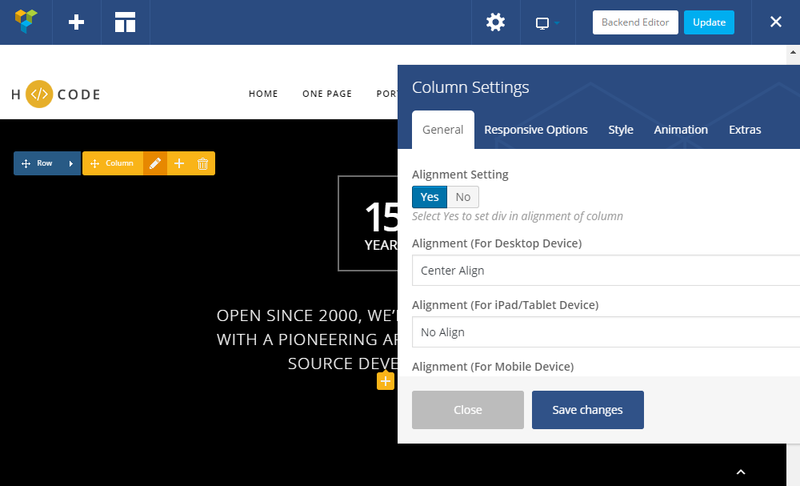 After you’ve worked your way through the settings and made any necessary changes, you can move onto configuring the widgets and menus for your site. Setting up the widgets and menus for your site, takes place through the core WordPress Customizer tool. This gives you a live, front-end preview of your site as you go about configuring your menus and widgets. Once the look and feel of your new website is starting to take shape, you can begin adding your own content to the demo version and creating new posts and pages. 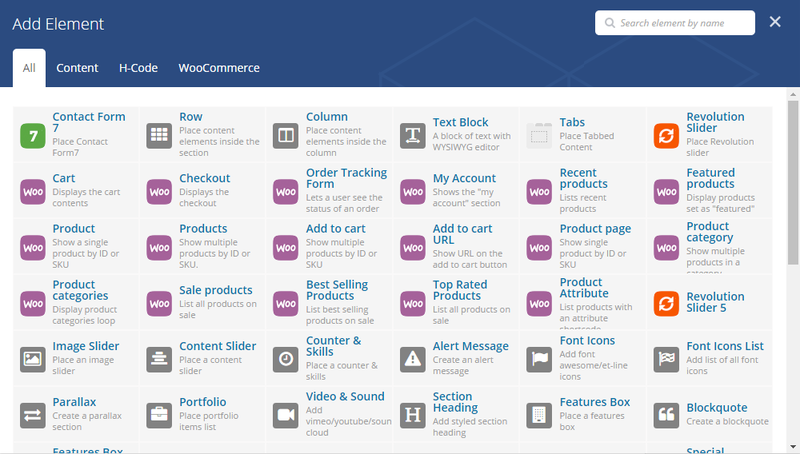 If you are creating an online store, then the properties of your shop will need to be defined through the WooCommerce section of your WordPress dashboard. After that, you can start adding your own products to the site. Thanks to the many demo versions available for H-Code, creating almost any type of website with this theme is relatively straightforward. 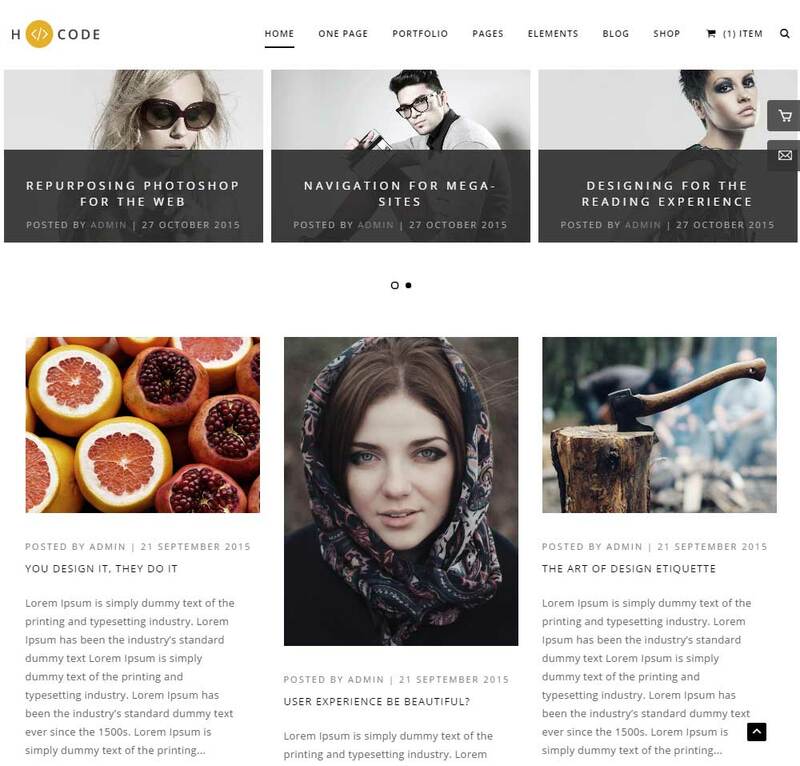 The H-Code WordPress theme is available from the busy ThemeForest marketplace for $59. This is around the standard price for a popular WordPress theme available from ThemeForest. The price includes 6 months of support from the theme developer. However, it’s worth paying the extra $17.70 to extend this support period to 12-months. The price of H-Code includes the two premium plugins, Visual Composer and Slider Revolution, making this a great value package. When it comes to multipurpose WordPress themes with pre-built demos, H-Code is hard to beat in terms of quality and quantity. With so many professional looking demos to choose from, spanning a wide range of website types, there’s a high chance you’ll be able to find a suitable match for your project. 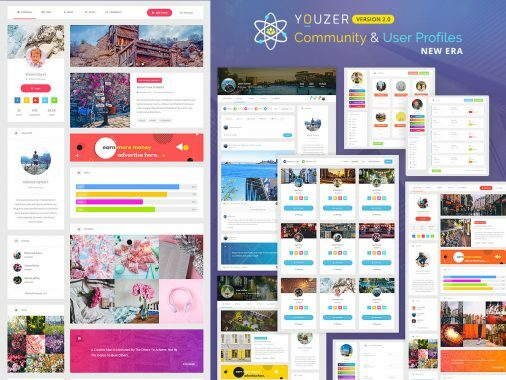 Furthermore, thanks to the large number of customization options, not to mention the powerful Visual Composer drag-and-drop page builder plugin, you should have no trouble tweaking any of the demos or giving them a complete overhaul to create something original. If you like the look of the H-Code demos, then you can choose this theme safe in the knowledge that it has all the features you’ll need to create a professional and custom website with WordPress. Thank you for sharing your thoughts on this theme. It is really amazing and creative theme. Really please to get to know this H-Code theme review and it has solve most of what we are looking for. Thanks Rasko. Let us know how you get on with H-Code. I am using H-Code and it is really amazing theme. Thank you. I am using H-Code and I am loving it. I am not that experienced with theme development yet, but I am still able to solve most of my issues. I don’t like working with Visual Composer though. Is there anyone who can recommend another composer or page builder? Or themes that use other techniques instead of VisualComposer? Visual Composer is by far the best and most advanced drag and drop page builder available for WordPress. There are some themes such as Avada, Divi, X Theme and others that uses their own page builders but they are basically a forked versions of Visual Composer that are skinned differently but shared the same functionality and idea. Personally I would recommend to spend some time to learn VisualComposer as that’s the backbone of thousands of WordPress themes out there and is most commonly used page builder plugin.